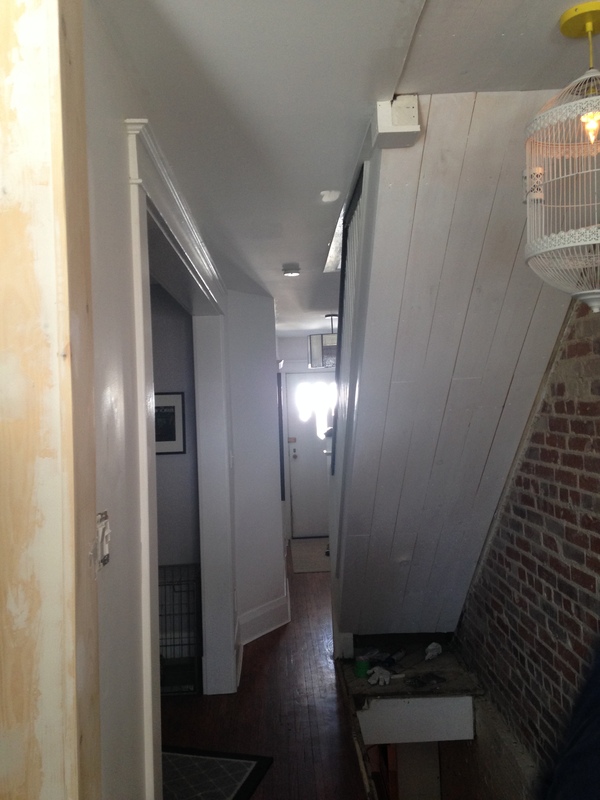 There be progress on the ceiling/wall/stairs! Garr. Slow and steady wins the race…Right? Keith is working away this weekend on the stairway area to the basement now that the excitement of the wall being ripped down has worn off. 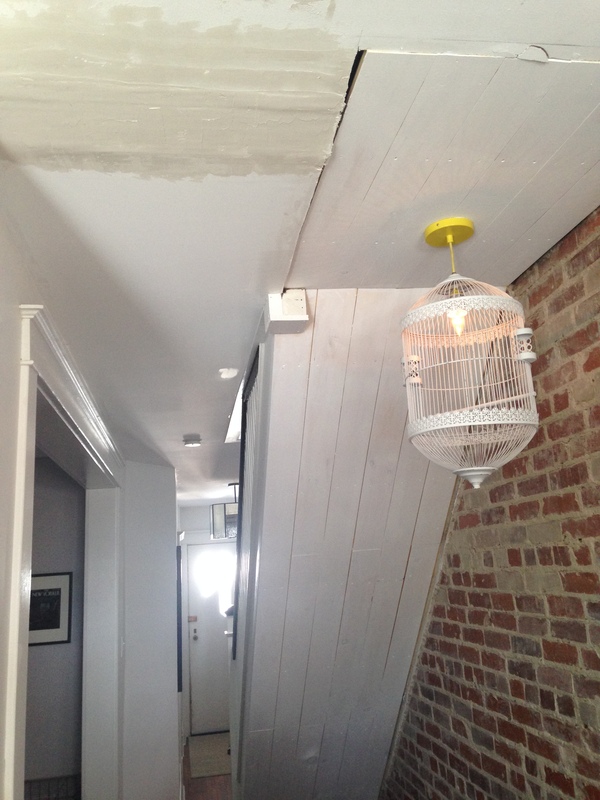 We’ve installed pine tongue and groove under the old staircase and whitewashed it. Now we’re attempting to do as smooth a job as possible joining the two layers of drywall on the dining room ceiling to the one layer in the kitchen. Because we only just got rid of the last dregs of dust from the wall tear down, so we needed some more. Here’s some photos of the progress. Plodding along with fixing up the ceiling now that the wall’s been ripped out! Kitchen ceiling drywall and stairway ceiling tongue and groove. Kitchen ceiling drywall and kitchen corner trim! It’s Saturday: How ‘Bout a Lamp?